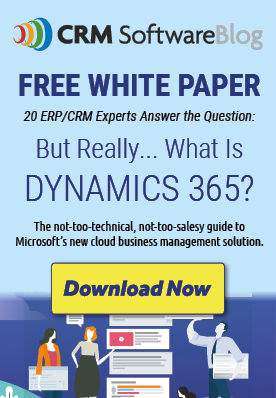 CRM Experts Answer The Question – What is Microsoft Dynamics 365? Is it ERP? Is it CRM? And how does it compare with the Microsoft Dynamics solutions that we’ve used before (AX, NAV, GP, SL, CRM)? To help clear up some of the confusion, we have done our best to cut through the marketing hype to help you understand just what Dynamics 365 is and what it could mean to your organization. 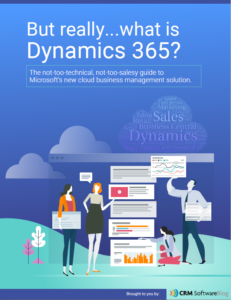 Download the white paper: “But Really…What is Dynamics 365?” then contact a partner to start a conversation about how Microsoft Dynamics 365 can be a “game changer” for your company. Request a free automated price quote for Microsoft Dynamics 365 at www.crmsoftwareblog.com/quick-quote. Can Better Technology Help Network Marketing Teams Reach Their Potential?